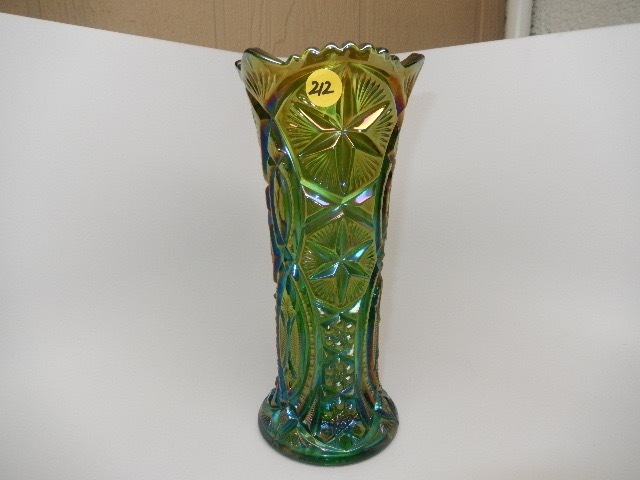 Certainly not as rare as some Millersburg vases, but so high on the desirability list that they always bring serious money. 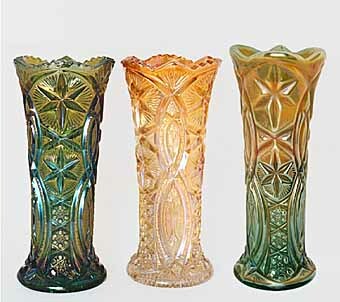 Shown above left are a green, marigold, and one of the two known in green opal. 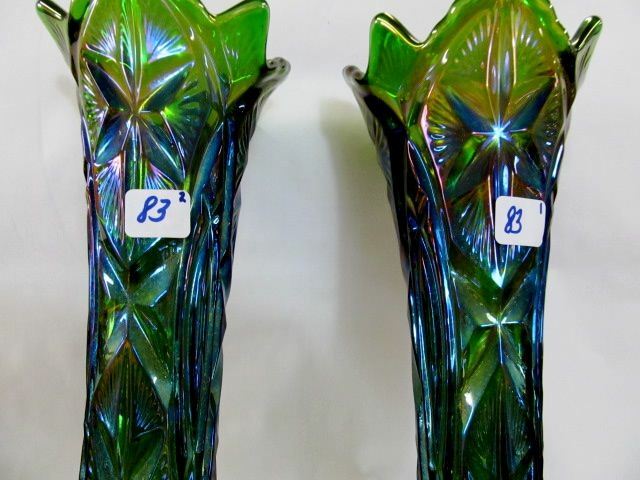 On the right are two of the several swung green examples. 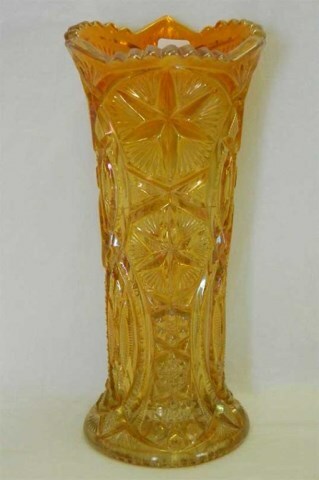 Another of these is known in amethyst and one in marigold. 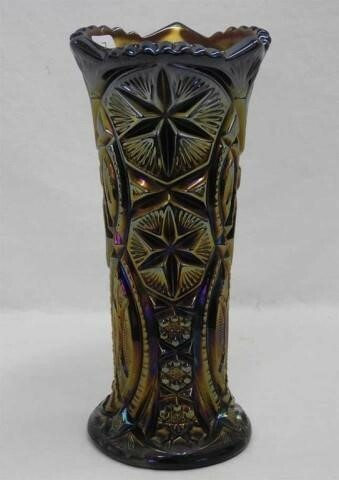 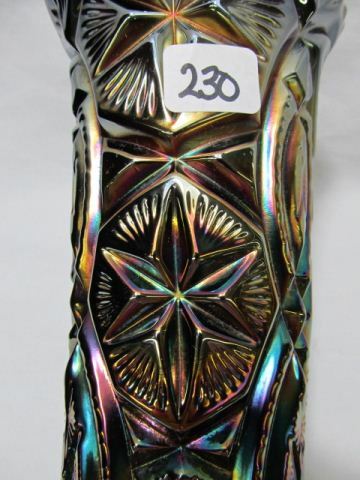 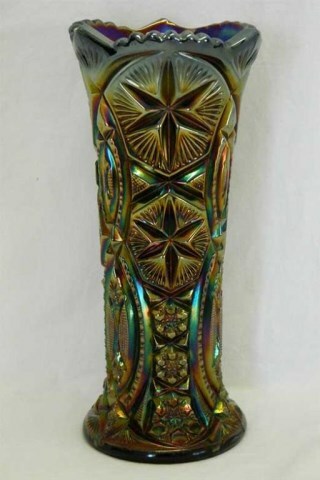 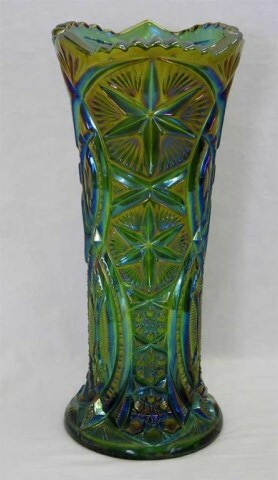 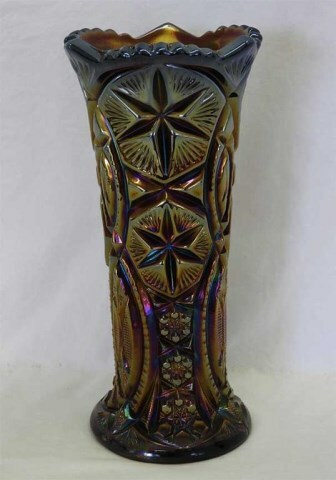 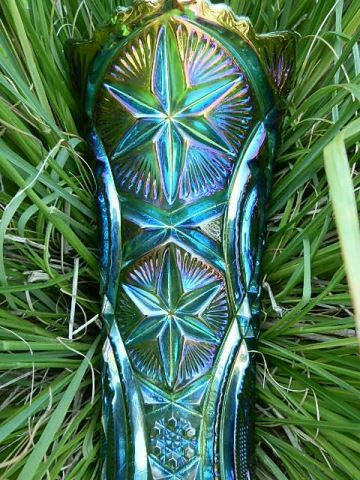 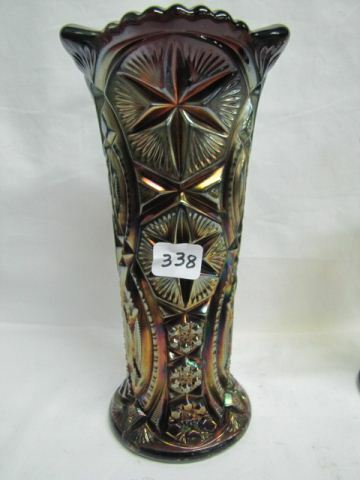 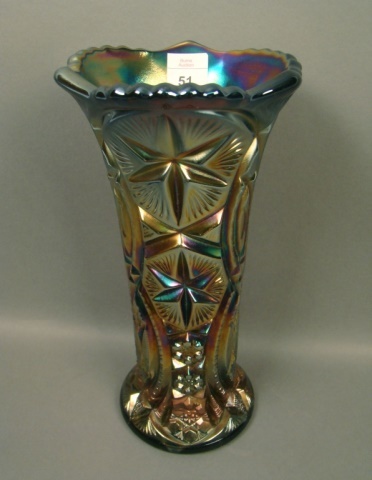 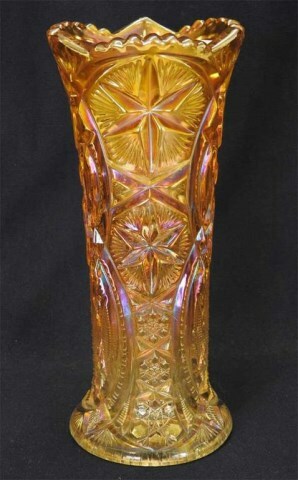 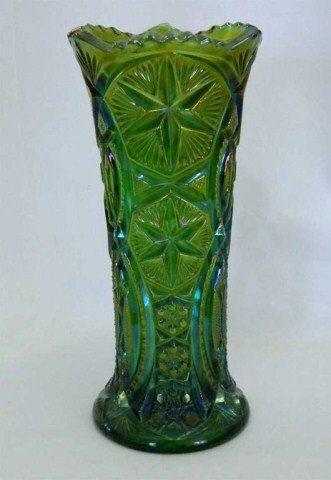 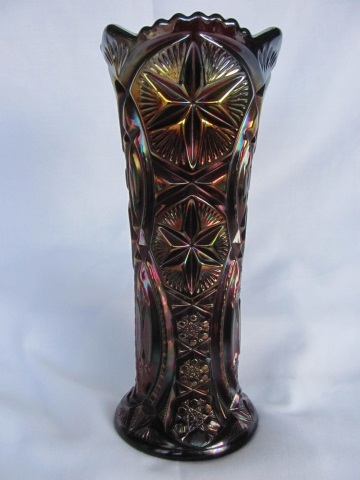 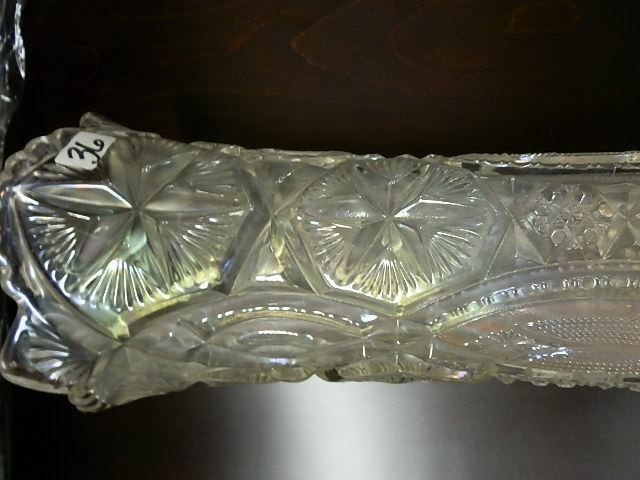 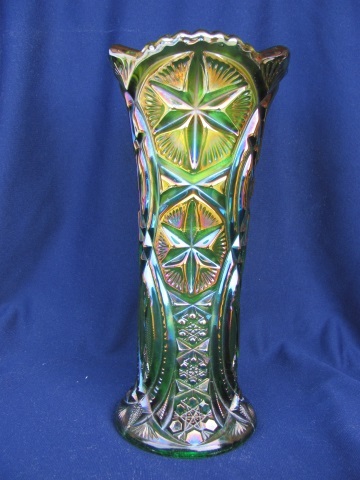 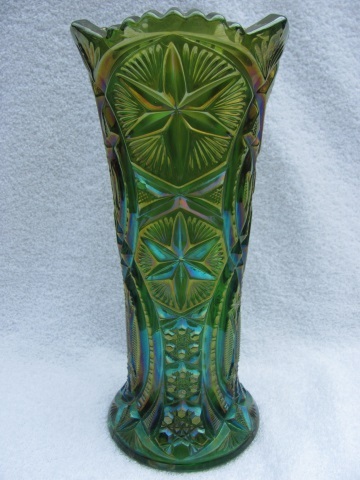 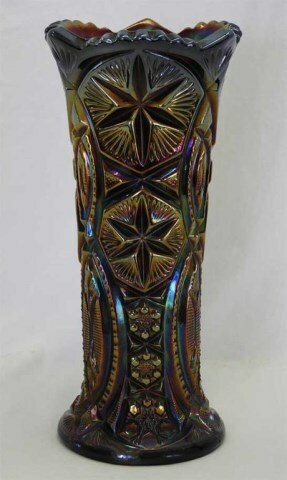 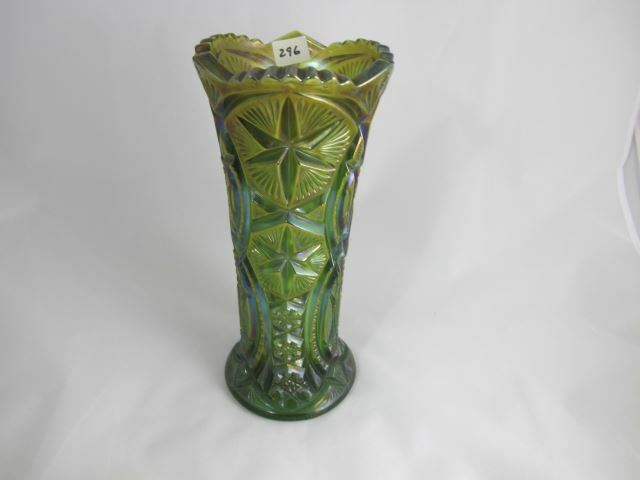 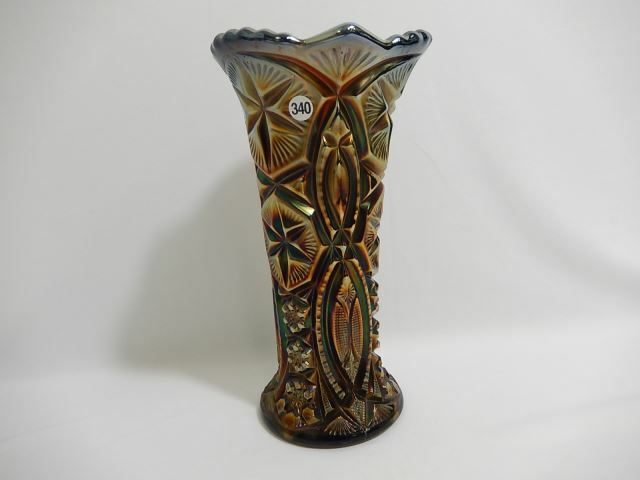 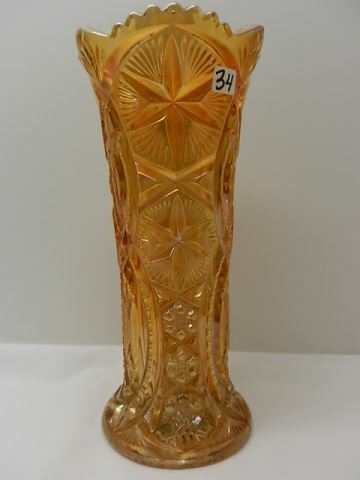 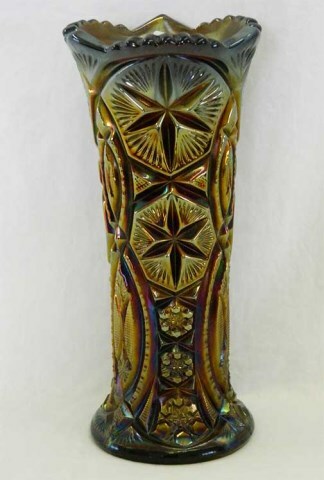 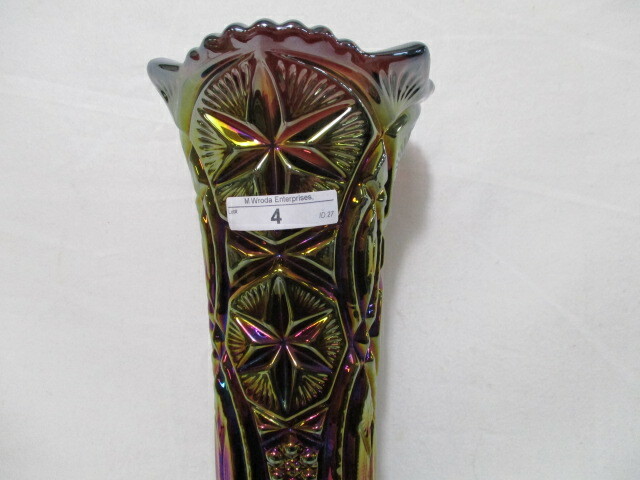 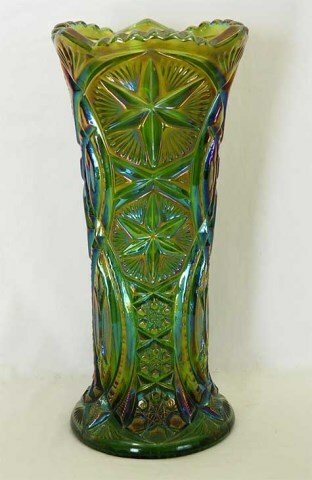 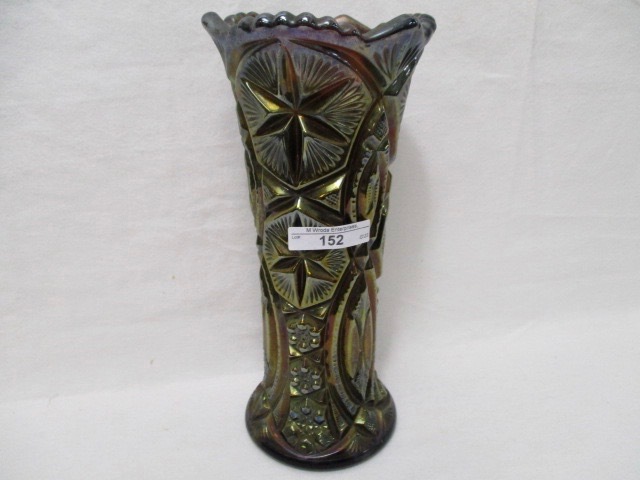 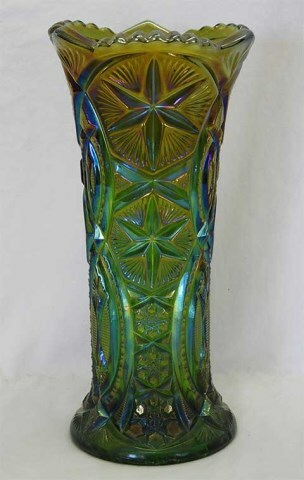 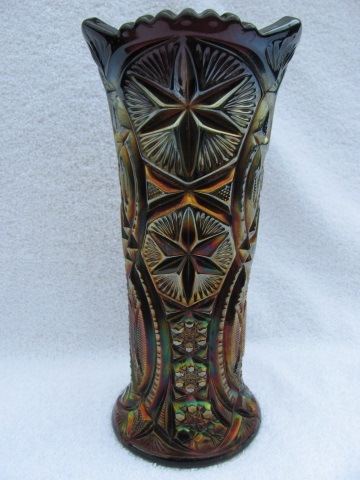 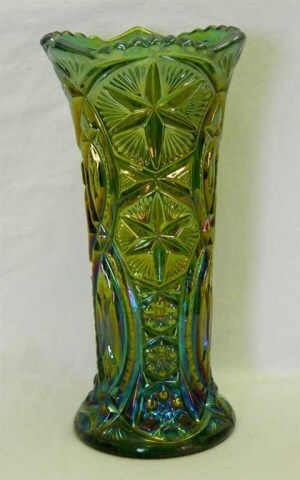 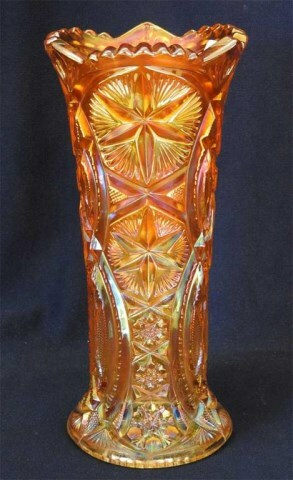 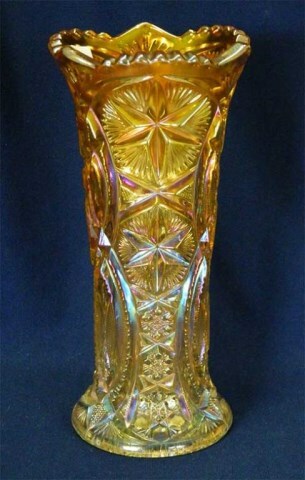 There are similar contemporary vases that are referred to as Ohio Star, even though the pattern is somewhat different. 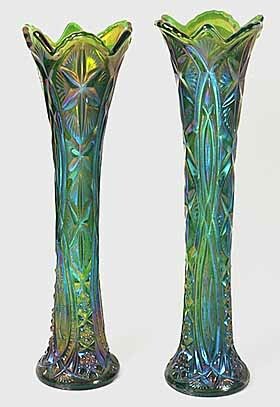 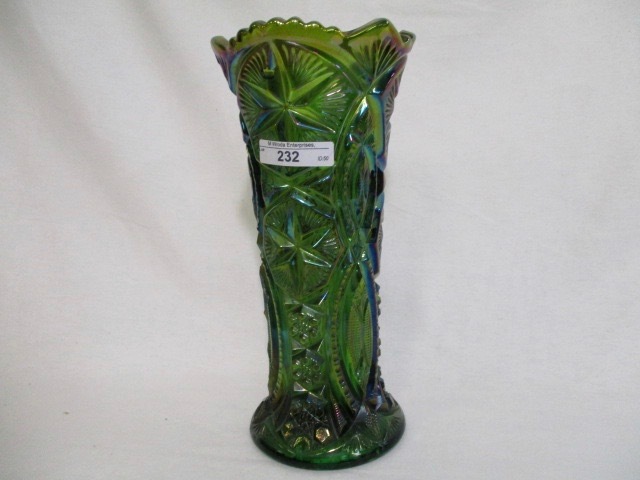 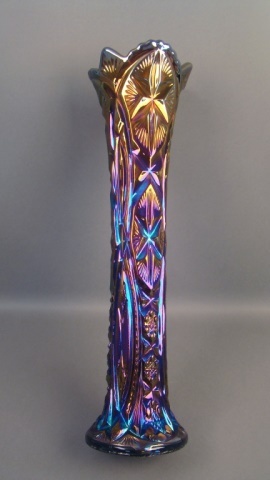 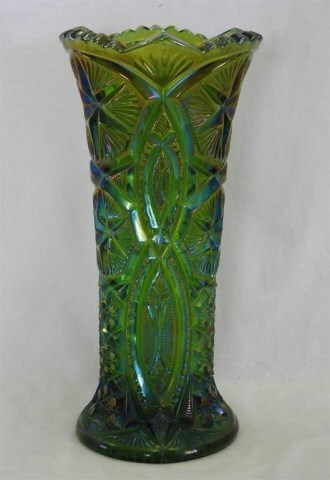 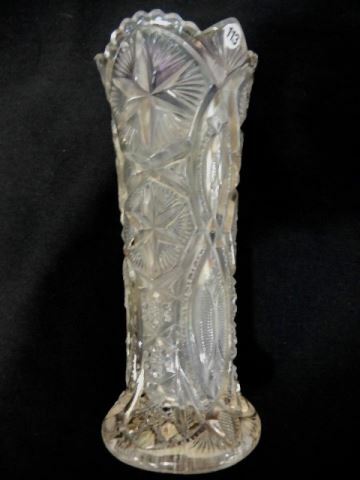 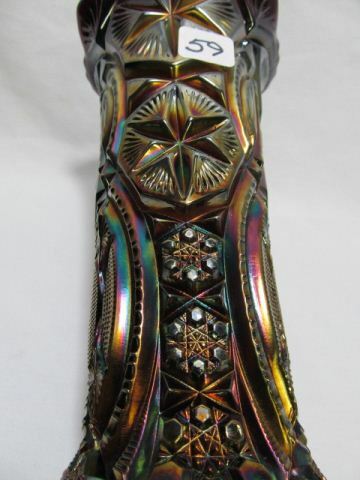 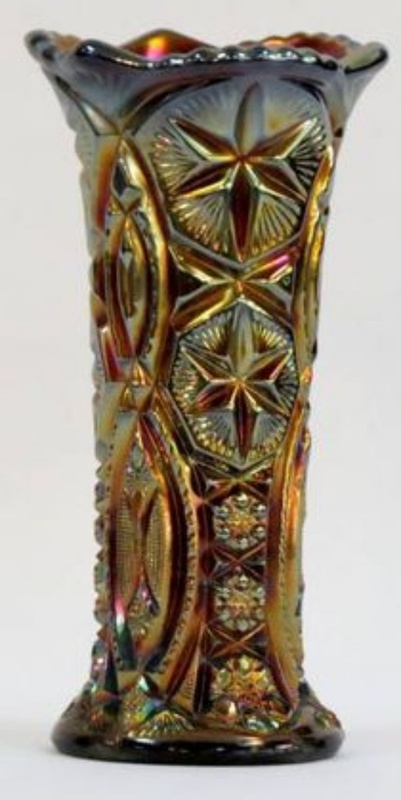 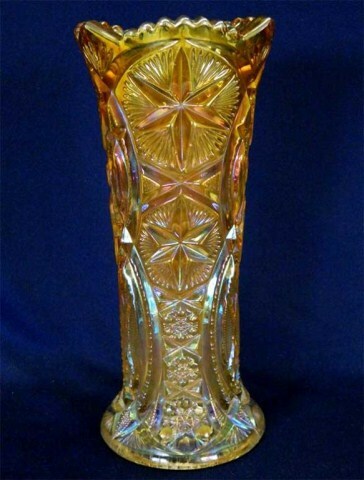 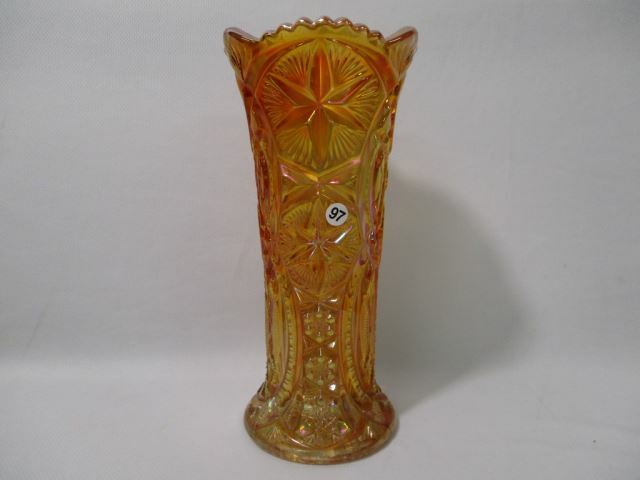 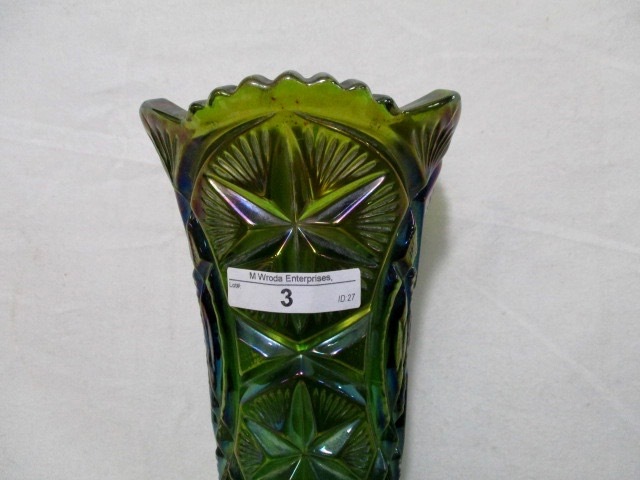 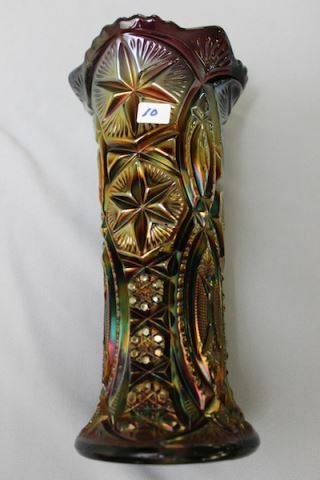 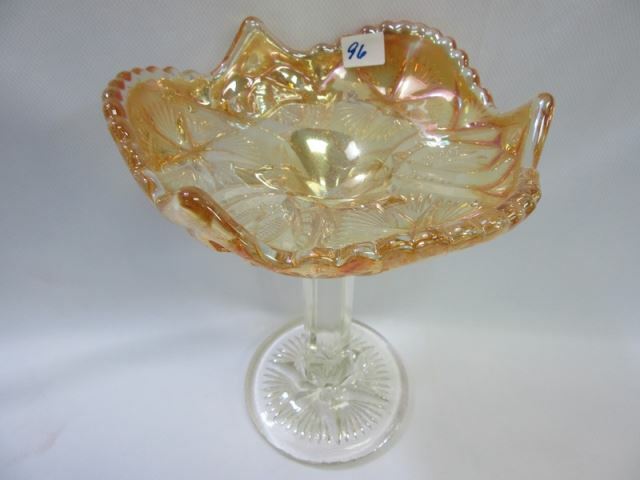 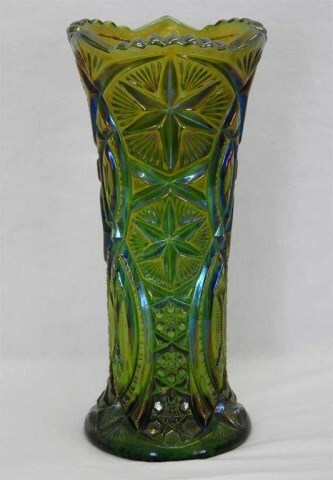 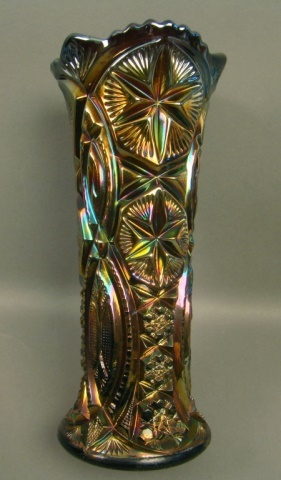 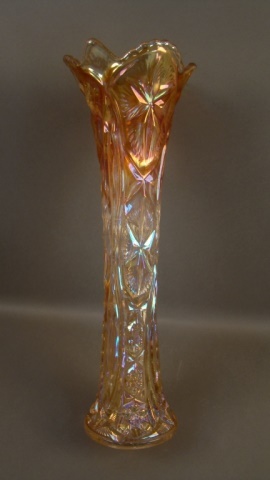 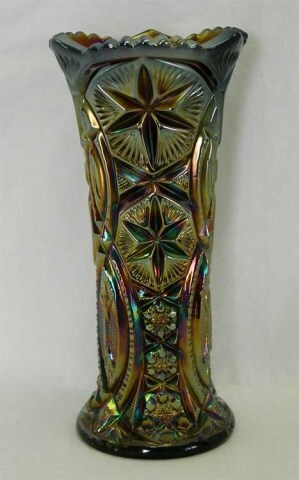 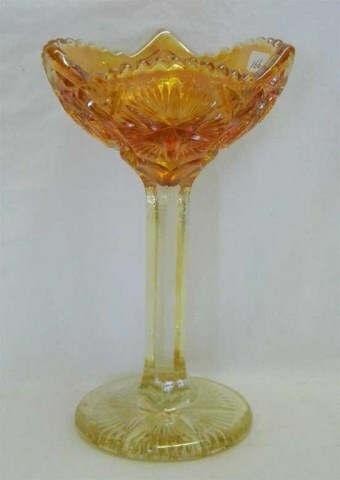 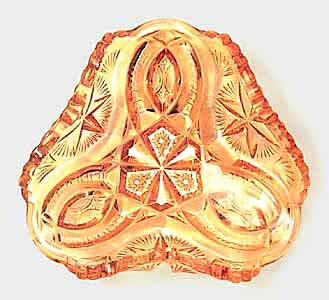 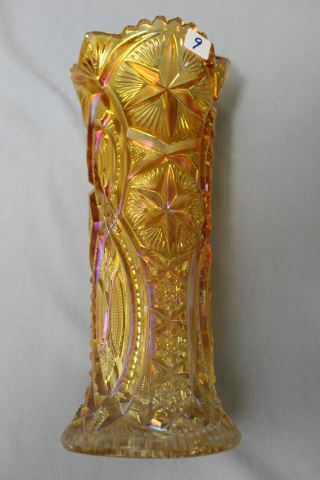 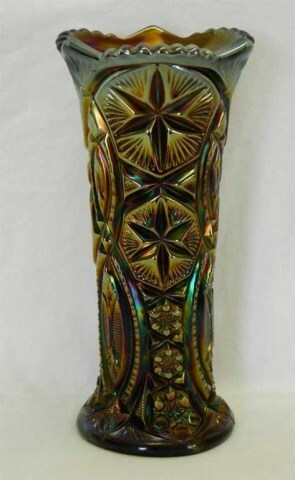 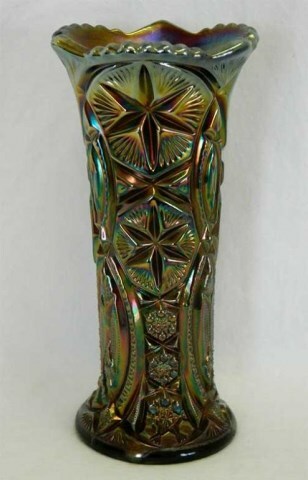 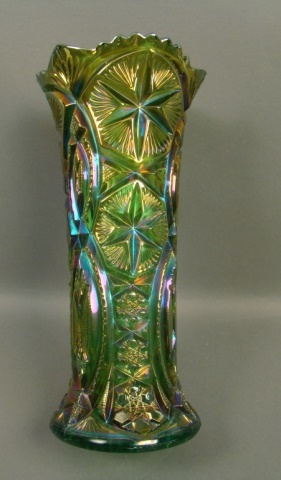 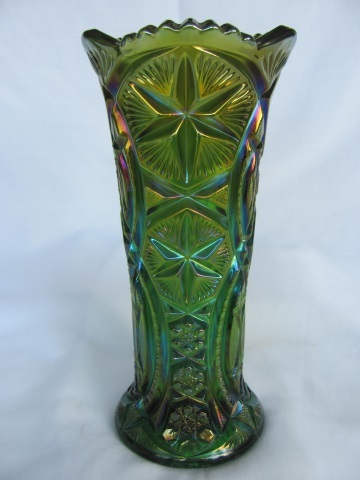 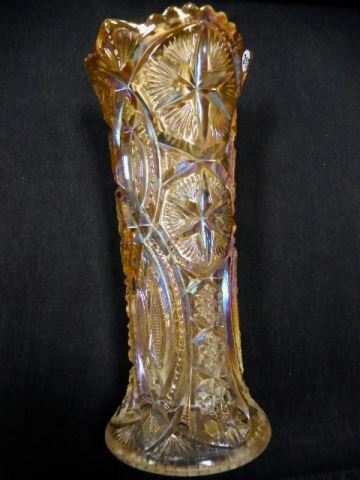 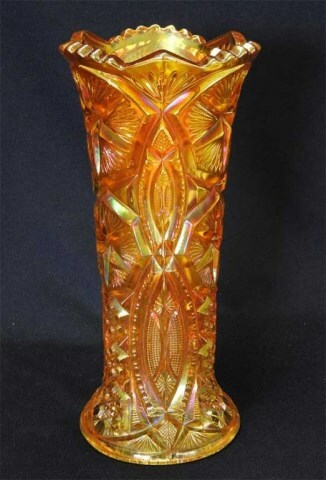 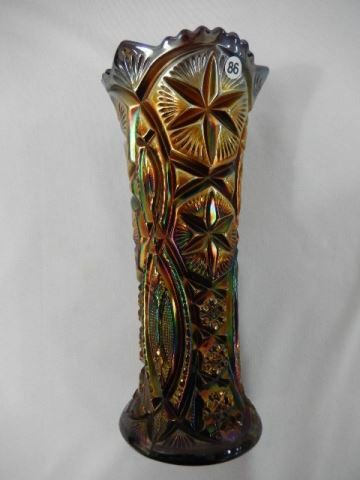 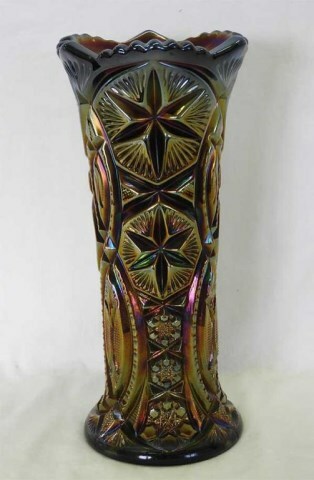 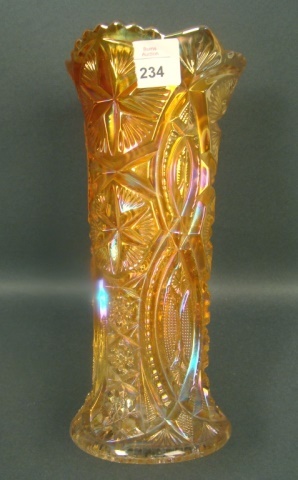 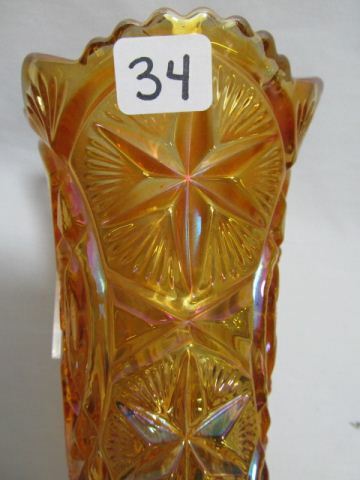 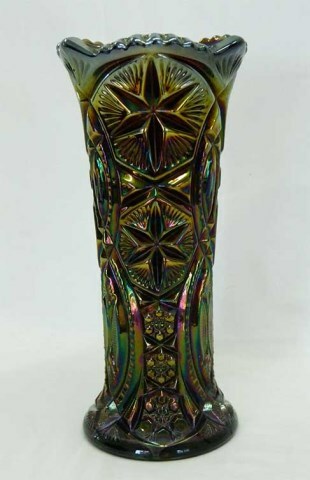 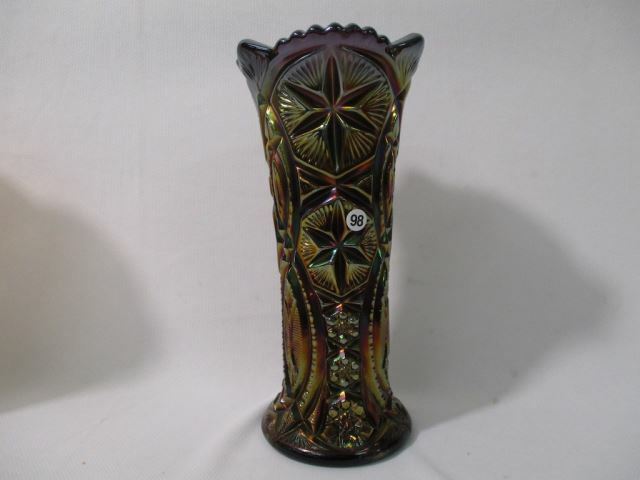 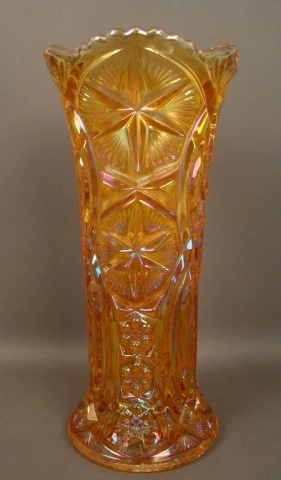 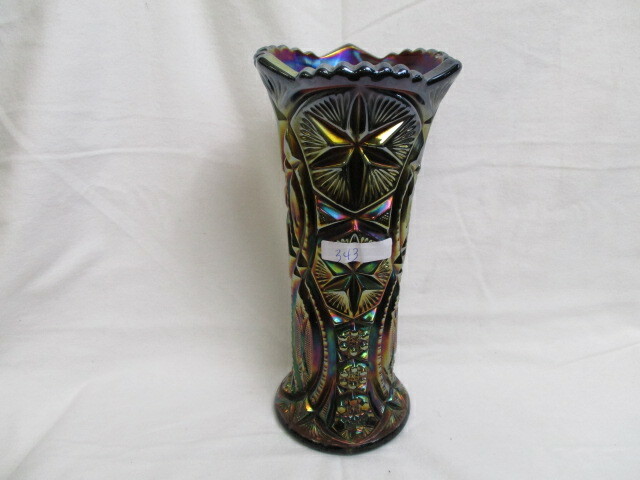 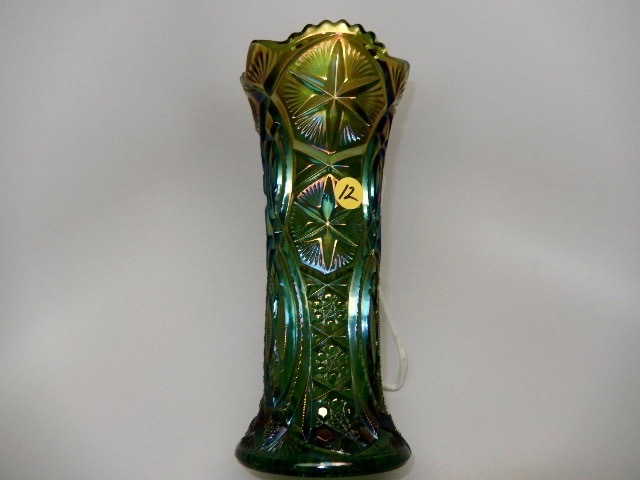 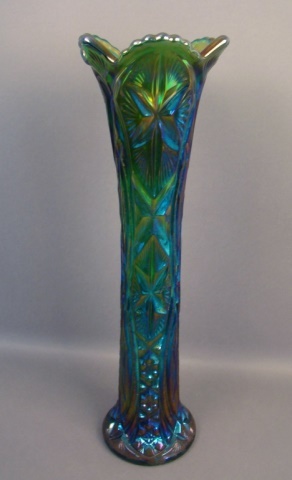 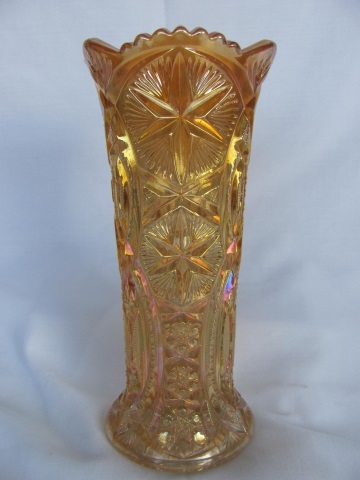 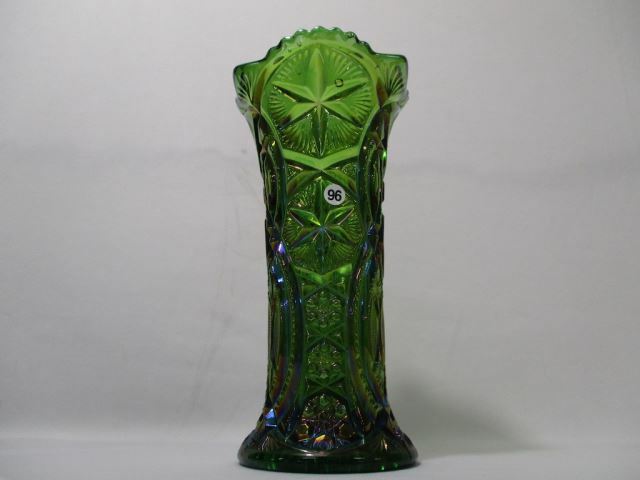 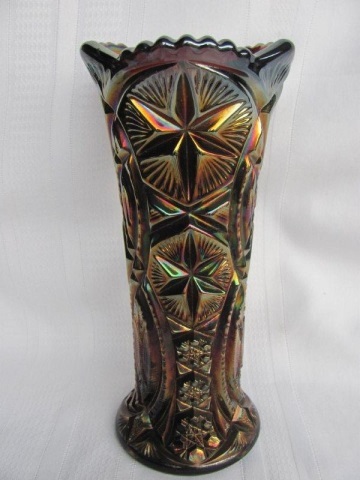 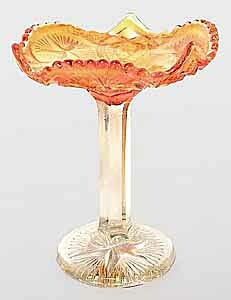 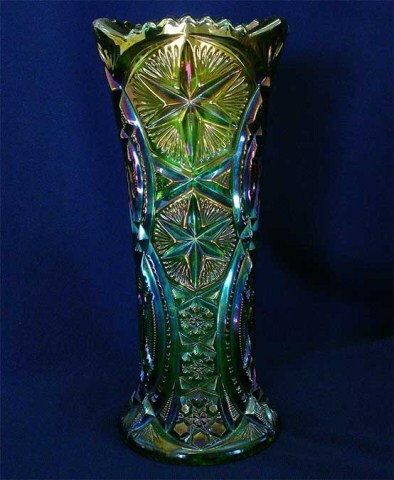 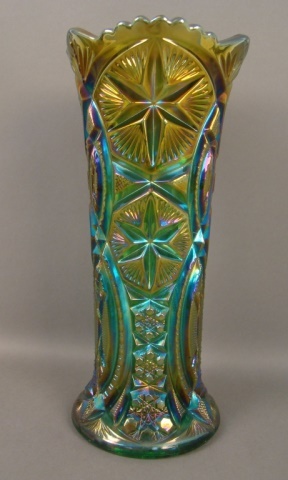 While the vases come most quickly to mind when Ohio Star is mentioned, Millersburg did make the pattern in other Carnival shapes (as well as uniridized crystal). 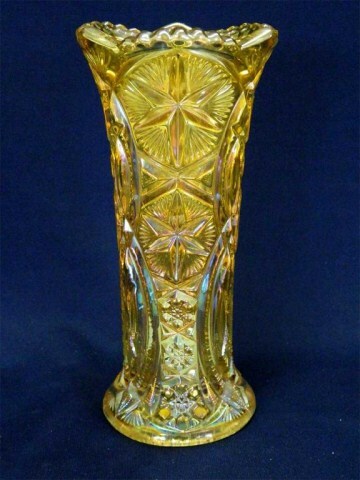 The marigold compote shown above sold in 1994 for $850; another for $1,500 in 1996; and a third in 2007 for $1,900. 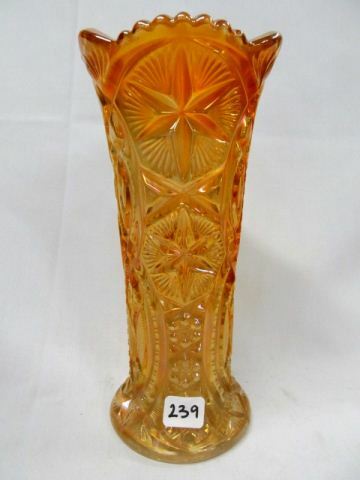 In 2015, another marigold compote sold for $3,500. 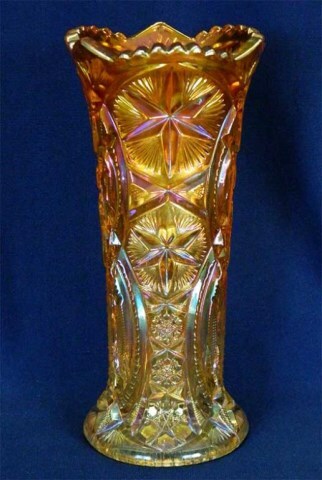 The tricorner marigold sauce is in a private collection.